Author P.G. Roeder announces release of her debut novel. In P.G. Roeder’s sci-fi adventure novel “Johnny Outlander” (published by Archway Publishing), a young man who has always been different from others embarks on a journey of self-discovery. 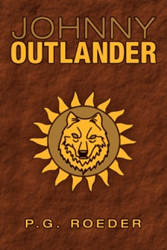 For more than a thousand years, in Wales and environs, those who were strangers or without land have been known as “outlanders.” Johnny Outlander has kept a deep secret from his early childhood, and now at 17 he has inherited a destiny far older than the redwood forests that surround him. The novel explores a number of themes, including man’s connection to nature, intuitive communication and the origin of humankind. Roeder hopes the book will encourage readers to approach the world with an open mind. P.G. Roeder lives and works with a collection of rescue animals, including dogs, cats and horses. A professional editor, whose efforts include everything from Buddhist theological texts to scientific and computer white papers, she has taught creative writing seminars, as well as classes in English literature and intuitive animal communication. Roeder lives with her family in Northern California.